So you’re having a party! Everything’s been taken care of - except the music. Well you’ve come to right place. You’re going to find the most requested smaller bands & acoustic singles in the Triangle area, right here. When planning a party in your home, volume is always a concern. These professional musicians will accurately provide the appropriate amount of equipment without overwhelming you or your neighbors. For your peace of mind, TEA will send a coordinator to your home for a walk- through to help you decide where the best location for your musician(s) / DJ for your event should be. We’ll address parking, load in, performance location, electrical requirements and will answer your questions and address your concerns before your event. We’re great at keeping your party a secret too! So if this is a surprise - relax, we’re great at working miracles without your VIP ever knowing what’s happening. You’ll find all styles of music here! You can be sure that all of these musicians will do an excellent job for you and your guests. 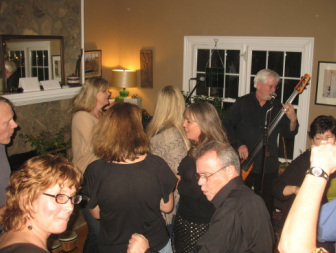 Our musicians specialize in small, intimate settings- perfect for small indoor / outdoor environments. They understand what you expect of them and they will do everything possible to meet those expectations. I'd like to tell you a little about our agency below then we'll move right a long to the nuts & bolts of the music. For the last 22 years I have dedicated myself, my staff, and this company to providing the best customer service that can be found in your area while maintaining the highest level of performance standards. Our responsibility is to make the process of hiring musicians as easy as possible. We'll be with you from the beginning of your event to the end. We choose the musicians that we work with a rigorous selection process including exclusive personal interviews, reference checks, and on-location auditions. We do this, so that you don't have to. Only premiere musicians are being represented to you. More importantly, we anticipate your concerns. We assure you that any entertainer that you employ through Triangle Entertainment Agency will arrive on time with a professional attitude, wearing the appropriate attire, and with the pre-arranged repertoire that you have requested. Triangle Entertainment Agency offers cost-effective entertainment with over 550 musicians, bands, and over 35 professional DJ's. We provide our performers high volume bookings, in return, the performers tend be more flexible with their fees to accommodate our client’s budgets. You're probably going to be interested in our smaller, more cost-effective musicians such as; our traditional jazz pianist or saxophonist, rhythm and blues (60's / Motown) bands, country/ bluegrass bands, "light" classic rock (60's acoustic or electric) and DJs. 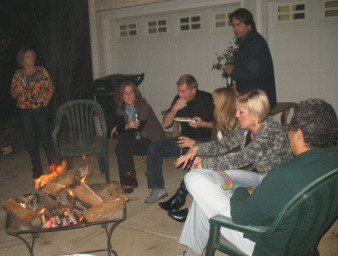 Our acoustic singles and duos are perfect choices when having a party in or outside of your home. We have been able to establish ourselves as specialists because we are able to accommodate every budget and personal preference. We take great pride in the fact that we were the only agency in town that was asked to coordinate the "Icons of Jazz Series". We know music and we only work with the best musicians in the Triangle area. The top restaurants/clubs in the Triangle trust us to place musicians in their establishment every weekend- exclusively! Triangle Entertainment Agency realizes how difficult it is to coordinate a large or even small event. If you choose a performer through our agency, we will change hats and become your music coordinator - coordinating on your behalf. This will free your time and your attention for more important issues regarding your event day. Our music coordinators will be working closely with you to eliminate last minute surprises. We take full responsibility for our musicians - so you can be sure that we’ll be working with your performers extensively regarding your event. TEA is committed to taking care of potential problems before - they occur! I hope that you will keep Triangle Entertainment Agency in mind as you begin to make arrangements for your special occasion. Thank you for your consideration, time, and for supporting the Arts. No Party Is Too Small To Have Live Music. We can accommodate any budget! we have acoustic players who can provide your favorite songs...you guys do the singing! TEA can show you how to make it fun! 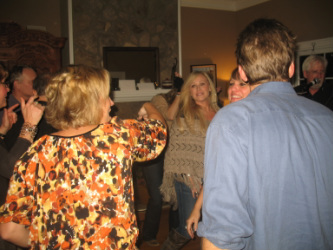 to see a recent video of this party! Every City/Town has a “Noise Ordnance" for Outdoor Events. Usually this time is between 10pm and 11pm. No worries, if you are unsure. As your music coordinator, we will happy to check with your city for you!